Provo home will save energy. Carl Youngblood has long held an interest in energy efficiency, and it shows. He drives an electric car and is thinking of trading in his family’s second vehicle for a Tesla. It makes sense, then, that the software engineer is now constructing the first certified “passive house” in Provo. Youngblood had been studying off-the-grid cabins and houses when he first came across the concept of a passive home. “This was a standard that was the deluxe version of that, so I gravitated toward it,” Youngblood said. So what’s the difference between a passive home and a regular one? Special building designs, and massive amounts of insulation. These features keep the buildings from changing temperature quickly. Buildings built to the standard can save up to 80 percent on energy use, according to the website of Brach Design Architecture. In some parts of the country, the insulation allows owners of passive homes to forego heaters. With Utah’s winters, a heater will still be needed, though on a much smaller scale than normal. Even then, solar panels Youngblood is planning to install will produce the energy needed to run the entire home, which includes an accessory apartment in the basement. “It’s called a net zero — a house that is producing as much as it is consuming,” Youngblood said. The walls of the home have three to four times the thickness of insulation that a normal home would, and another barrier is put in all the walls to keep the building airtight. Even the roof has more insulation than a typical one by about two to three times that of a standard home, said Mike Clark, co-owner of Hinkley Eaves Construction. Six inches of foam insulation can even be found beneath the concrete in the basement, a way to keep the cold transmitting from the ground into the home, Clark said. A heat recovery ventilating system in the house will both ventilate the home as well as use the stale air that is being replaced to heat or cool the new air coming in. Clark compared it to the way a car’s radiator transfers heat from the engine’s coolant to the outside air. Ventilation helps keep mold and condensation from being issues despite the house being so sealed off from the outside. “The ventilation system is constantly evacuating stale air and bringing in fresh air. The home will recover as much energy and heat as possible from that air before it exchanges it,” Youngblood said. The walls are thicker than that of a standard home, and the windows are triple-paned to better insulate. The home it will look like a traditional house and, will be showcased in the Parade of Homes in June. Comfort is one of the characterizations of a passive home, Youngblood said, and isn’t sacrificed in order to achieve the energy efficiency. Though Youngblood’s home will be fairly upscale once finished, he said any home can be designed to passive house standards. According to Passive House Institute US, a nonprofit organization that promotes passive homes in the United States, it costs between five and 10 percent more to build a passive standard home than a regular home. But, Youngblood said, because of the lower operating costs, it pays itself off in the long run. “If you were to buy a house like this, your operating costs would be way lower than an older house. How to choose the right property manager. If you’re anything like me, you probably LOVE the idea of “passive income”. It’s okay to admit it. It’s a buzz word we’ve all been hearing about for years now, and let’s be honest… who wouldn’t want several large paychecks to finance their lifestyle? Would it be so bad if those paychecks kept coming in month after month, year after year, for the rest of your life, regardless of whether you kept working? Yeah — passive income sounds like a dream come true alright, but we’ve all had people try to sell us on this before. Back when I was a new investor, I heard the same sales pitch about all kinds of new business opportunities, investment funds, real estate courses and multi-level marketing schemes. Everyone talked about it like they had the “keys to the cash flow kingdom,” but when you hear this much hype about something, it’s easy to grow a thick layer of skepticism toward the idea. Obviously it sounds great, but come on, is this really possible? Most of us have a hard time believing in things like passive income. We understand it conceptually, but when you’ve never seen it or experienced it firsthand, it’s just hard to know whether this stuff is a myth or a reality. It definitely looks good on paper, but is it really that simple? Can anyone actually show me the money? When I was in college, I was fascinated by the idea of buying rental properties. Like most of us, I had read all the Rich Dad Poor Dad books, seen all the late-night infomercials and spent hours scouring the internet for answers. All the books made it sound like the smartest thing you could do with your money, and everyone on TV made it look like candyland… but whenever I talked to the REAL landlords I knew in my life, I heard quite a different story. Most of them would tell me how difficult it was to deal with tenants, describing one horror story after another. It seemed like they were constantly feeling burnt out and disillusioned with the foolish dreams they once had of being a landlord. If I didn’t know any better, I would’ve thought they were miserable! When I heard these kinds of stories, rental properties sounded more like a nightmare than a dream come true. It always left me wondering, why are so many landlords willing take this kind of abuse? If passive income is really attainable from real estate, why does everyone have such a hard time finding it? Nevertheless, I remained cautiously optimistic that I would find what I was looking for. When the day finally came for me to take the plunge and buy my first rental property, I was pleasantly surprised to find that passive income really did exist. It’s wasn’t just a sham after all! I was able to find some for myself, and there’s no reason you can’t do the same. The truth is, there was only one reason I ever got to experience this phenomenon firsthand. It happened because I found the right property management company. Without question, my property manager has had a MASSIVE impact on the success of my rental properties. If I didn’t have a good, competent property management company running the show, I never would have survived in this business. It’s just that simple. As I eventually learned from my conversations with other rental property owners, I apparently got lucky with my property manager because they’re not all created equal. Even though some of them are EXPERTS who are very good at what they do, others are quite the opposite and represent all that is wrong with the industry. Finding the right rental property manager is a big deal! After all, these people are going to be your eyes, ears, hands and feet on the street. Their actions will have a major impact on whether you own a profitable and efficient portfolio of rental properties or a business that is constantly struggling to keep its head above water. If you decide to hire a property management company, you need to understand who you’re working with BEFORE you give them the keys to your property. When I went shopping for property managers on my first duplex, I used a series of questions that helped reveal just how experienced and competent each candidate was and whether it made sense for them to manage my specific property. The questions worked astoundingly well. In about 30 minutes, I was able to establish a reasonable level of trust (which was a lot better than gambling with my life’s work just to “test them out” in the real world). What kinds of properties are you most experienced in managing? (i.e. single family homes, multi-family, apartments, commercial, etc.)? How many rental units do you currently manage? How long have you been active in the property management business? How many rental properties do you own personally? In your opinion, what are the best areas in town to own rental properties? What are the average vacancy rates in these areas? What is unique or special about these areas? Do you think these areas are improving or declining? When you look at my property (or the property I’m looking to buy), does it strike you as a good investment for the price I’m paying? Why or why not? If you were buying a new rental property today, which areas would you focus on and what types of properties would you be targeting? Why? How is your company’s work divided (i.e. how many units does each person manage)? What portion of your maintenance work is contracted out vs. done in-house? How does your tenant screening process work? What steps do you take to find good, long-term tenants? How does your eviction process work? Tell me the timeline of events, starting from the first day rent is late. What are the tenant’s responsibilities in your lease agreement (e.g. cleaning, furnace filters, yard care, etc.)? What happens when a tenant doesn’t handle these responsibilities? At what point will you come to me for approval of expenditures? What’s your spending limit? In what ways will you be able to improve the profit margin on my properties (e.g. increasing rent without losing tenants, sharing late fees, etc.)? Are there any other ways you can add value to my overall operation? How often will you provide me with an accounting statement for my properties? Will you deposit each month’s rent into my account via direct deposit or via check? Do you have the appropriate license(s) to be a property manager? Do your contractors carry their own liability and workman’s comp insurance? Are there any regularly occurring times you’ll be visiting my tenants/properties? While I was at it, I made sure to check out their website and drive by a couple of the properties they were already managing. This gave me a good idea as to whether their properties fell in line with my overall expectations and whether they were going to be a good fit with the types of properties I was planning to buy in the future. I realize this list of questions is quite thorough, and in some cases you may run across a property manager who is just too busy to sit down and answer them for you. I understand that property managers are busy people (I am too, believe me), but I also know that if they have any desire to grow their business and bring on new clients, they will set aside a few minutes and answer them for you. If a property manager doesn’t have time to answer your very simple questions in this interview, do you really want to put them in the driver’s seat? Do you think they’ll treat you any better after they’re controlling the fate of your business? Just speaking for myself, it’s not something I’d want to leave up to chance. There’s one more dilemma that many of us have to wrestle with. It’s called micromanaging. This challenge seems to be particularly difficult for those of us who have already been managing our own properties for years, but are trying to get out from under it. The problem is, the whole point of hiring a property manager is to make your life easier, and part of this transition process involves you letting go. A rental business will never operate at a perfect level of efficiency, even when you’re at the helm. Give it some time and keep your eyes peeled for patterns of unfavorable outcomes, but keep calm and let your property manager carry on. Visit a park in Provo. Provo has some of the most beautiful parks in the state of Utah with over 813 acres of developed park-lands, 35 miles of paved trails and paths, and 468 acres of turf for organized sports fields. Provo Parks & Recreation is a premiere parks and recreation agency that has been recognized nationally by organizations such as Forbes Magazine as one of the most livable cities and by Outside Magazine as #2 in the United States as the best for outdoor recreation opportunities. 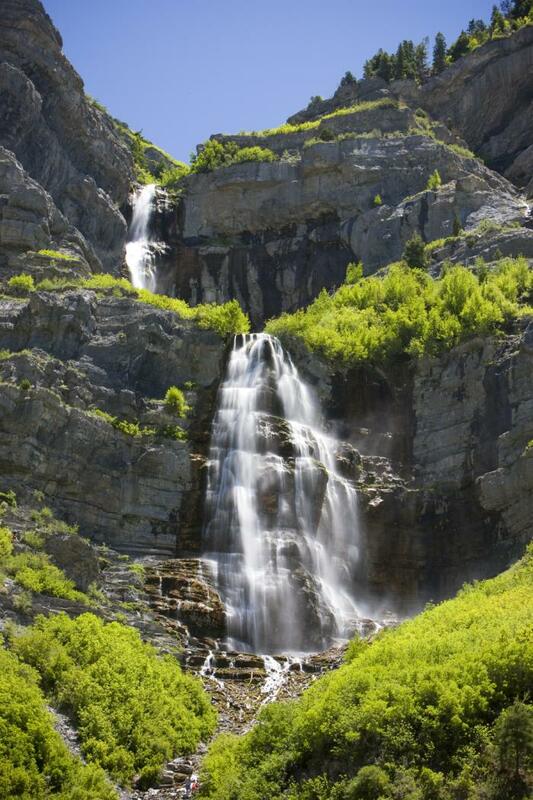 The parks directly influence the quality of life for residents and visitors of Provo. Below we have pulled together a list of some of out favorite neighborhood parks. With cooler weather on the way now is the perfect time to soak in the last few weeks of green grass and blue skies. If you’ve been a landlord for long enough, you’ve inevitably had an experience where you have a good tenant — things seem to be going fine — and then they surprise you by not renewing their lease. Aside from being costly, these situations are confusing. What makes these tenants leave? In many cases, a tenant’s personal situation may simply change. Maybe they’ve changed jobs, recently expanded their family, or are moving away to be close to a significant other. There’s nothing you can do about these highly personal situations, which often sneak up with very little warning. Are you enacting an increase in rent? Even if it’s simply to keep up with the going rate, many tenants don’t like the idea of increasing a rent payment for the same property. For some reason, they’d rather switch properties and pay more. Psychologically, a new place seems to better justify the price increase. If you absolutely have to raise rent, do so over time. Raising your rent by more than 10 percent is a surefire way to lose even your most loyal renters. If your rent is significantly below market value, tell your tenants. Then, gradually raise rent in increments each year. Raising rent 2–3 percent here and there will have a much less noticeable effect. Sometimes tenants simply get tired of dealing with your lack of attentiveness. While they understand that issues happen, they want to see you put forth the proper effort to correct them. For example, if the air conditioning goes out on a Friday afternoon in July, they want you to make as many calls as you can to get someone out there right away. Waiting until Monday and forcing them to suffer through the miserable heat won’t win you any bonus points. This one goes hand-in-hand with the last point; lack of communication is a major cause for turnover. Not only do you have to communicate regularly with your tenants about things like maintenance, but you also need to speak with them about renewal well in advance to give them time to process things like rate increases or changes in lease terms. What have you done to establish trust and rapport with your tenants? Do they feel like they can be upfront and honest with you? — Or do they sense that your only purpose is making money? Tenants want to be treated with transparency. As we all know, bad neighbors can make for a miserable housing experience. Nobody wants loud, intrusive neighbors. If you have bad neighbors around, don’t be surprised when your tenants take a hike. Experienced real estate investor Kevin Perk knows a thing or two about managing properties, so when he says that tenant turnover is the single biggest killer of cash flow, your ears ought to perk up. “When talking about tenant turnover killing cash flow, I am talking about all of the processes and costs involved in moving a tenant out of an apartment, fixing it up, and moving another tenant in,” Perk says. These include administrative costs, advertising, showing the property, application costs, repair expenses, and, of course, lost income. While you can’t retain 100 percent of your tenants, you can make sure you’re aware of the common causes of turnover so that you don’t do yourself a disservice. Here are the Problems I Avoid When Shopping for a Rental Property. The following are three problems I try to avoid when I look for a rental property. This isn’t to say I will never touch a property that has one of these issues, but there better be a really good reason for it, and I would have to factor it into my numbers. Utah Landlords: Here’s how to save on your water bill. No property manager wants to pay too much for water. However, if those costs aren’t kept in check through good practices, the results can be much worse than a costly bill. Just ask the residents of a condo in DeKalb County, Georgia. In February, the condo’s property management company threatened to condemn the building and evict the residents if they didn’t pay — wait for it — a $130,000 water bill. The building’s owners paid $220 a month to the property management company, but the dues simply weren’t enough to cover the absurd water costs. What kind of water situation leads to such a high bill? While it’s possible the association in DeKalb misused funds, sometimes the answer is simply that the charges really are that high. Water usage skyrockets when tenants of a complex or association use too much water, don’t report leaks properly, or simply are unaware of a leak. As costs rise, the property manager often doesn’t have the funds to cover the unexpected bill. That debt gets passed along to residents, which opens the door to a situation like the one in DeKalb County. Every Utah landlord wants to avoid unexpected bills and angry tenants, while those same residents would rather not pay higher fees that go straight to the water company. This is precisely why property managers looking to maintain costs must make managing water usage a top priority. In 2015, water prices rose at a higher rate than almost any other household expenditure. Some cities combat this rise with different pricing tiers, but simply charging people more for higher water usage doesn’t address the real issue. The solution isn’t to cause affordability issues; it’s to control water waste. 1. Ensure regular preventive maintenance. To provide maintenance, property managers must include a clause in every lease that calls for regular inspections in every unit. After moving out, every faucet, appliance, and pipe requires a thorough check to ensure each works properly. If you think you have a toilet leak, drop some food coloring in the tank. If the dye trickles into the bowl, replace the flapper. Also, keep a close eye on your shower diverters to make sure the water isn’t running to the tub while the shower is on. Remember: The best way to solve a problem is to stop it from happening in the first place. 2. Convert to more efficient equipment. Many older toilets use 3.5 gallons of water per flush. However, the Energy Policy Act of 1992 lowered new toilets’ flush volume to 1.6 gallons. This change didn’t just help the environment; it dramatically reduced water costs on newer toilets. However, much of the water that flows into a toilet tank during the fill cycle goes directly into the bowl, resulting in up to 1.5 gallons wasted for every flush. Installing diverters can help this problem, but they’re not the best option for every toilet. Replacing toilets en masse can be expensive but saves more money in the long run. To get the most bang for your buck, have a water savings expert examine water usage throughout the entire building. Wide-scale upgrades present high upfront costs, so it’s ultimately more cost-effective to hire someone who can analyze the property as a whole and suggest the most appropriate course of action. Even for Utah landlords who don’t bill tenants for water, submeters are beneficial for monitoring usage. They let you see who uses the most water and when, and they identify potential new leaks or illegal devices. The use of submeters to gauge volume and time of water usage also helps determine hot water usage, which affects an energy bill. With the cost of water and other forms of energy continuing to rise, attacking both fronts can help property managers save. Unfortunately, putting submeters on older building can be a major hassle. Installation usually involves going under the floors and behind the walls, which makes the cost prohibitive to the potential savings. This strategy is effective for newer buildings, but it can be challenging in those that older. 4. Find and fix every leak and drip. Without a water monitoring service, you won’t be able to detect problems as they happen. Inspecting your units is the best way to find the leaks immediately and fix the problem. Doing unit inspections more than once a year are impractical and costly. A water monitoring service alerts you to leaks and other waste problems. This, along with an inspection service, helps you prevent, detect, and repair leaks and waste. Along with a full-on leak repair initiative, educate residents on the importance of reporting leaks and defects. Hang fliers and show residents how quickly you respond to the problem once they bring it up. Verdict: An inspector is worth the investment when combined with a water monitoring service. Educational campaigns cost next to nothing and should be part of any strategy you decide on. Utah landlords don’t have to fix the world’s drought problems, but they do suffer from inefficient water usage more than others. Rather than make tenants uncomfortable or penalize water usage, simplify water conservation and invest in a sound infrastructure to lower present and future costs. Summer fun in Provo? We are almost to the end of July, and it seems like only yesterday the kids were getting out of school. We only have 57 more days to enjoy the summer, so here is a list of 57 fun things to do in Provo, UT. Take a drive up Squaw Peak road and get a great view of the valley at the lookout point. Have a picnic at Lion`s Park. Mornings can be rough, however there is no better way to start your day than with a donut from one of these hotspots in Provo. This list would frankly be fraudulent if it didn’t include The Provo Bakery. The quaint little shop has been serving up some of the valley’s most mouthwatering donuts for more than 50 years. If I were forced to pick, I’d recommend indulging in the buttermilk bar or the seasonal pumpkin spice donut, then proceeding to try all of the other donuts at some point, of course. Go early in the day before the best stuff’s gone! In case you didn’t already know, BYU has its own bakery and makes a mean old-fashioned donut. The thing is moist, dense and pairs perfectly with a BYU Creamery chocolate milk. If you don’t want to go all the way into the Cougar Eat, you can nab a donut at the BYU Creamery on 9th east. One of Macey’s new advertising taglines is, “I need a Macey’s donut right now!” I’ve found myself saying that phrase in my head on several occasions. It seems especially relevant when I’m in the grocery store with my little kids, a long shopping list and a short fuse. The donuts are fresh, there are lots of flavors (can’t beat their classic maple bars). I’ll never forget the time I earned my own money as a little girl to buy one of their huge Texas donuts, which is pretty much five donuts in one. And I’m pretty sure I ate the whole thing myself. I told you this was a lifelong addiction, didn’t I? Like Macey’s, Day’s Market’s donuts deliver the kind of fresh, donutty comfort you’d expect from a quality local store’s bakery. I initially discovered them when I needed a conveniently located bribe for my daughter to go under water during her first swimming lesson, and we have been back many-a-time. The toasted coconut donut is a winner in my book. How did they choose a winner? Congratulations to Provo city on receiving this honor. If you haven’t been downtown lately you are missing out. How to find pet friendly housing in Utah? Pet friendly housing in Utah. Finding an affordable and comfortable pet friendly housing can be an incredibly time-consuming process. That’s what Nicole Myers, owner of a 90-pound Rottweiler mix, experienced during her recent Provo city rental search. She was planning to rent near BYU and began her search by looking at pet-friendly apartments. It’s not uncommon for apartment communities — even those that are pet-friendly — to have many restrictions. So, what’s the owner of a pet to do? Large apartment complexes are mostly likely to have size and breed restrictions in their pet policies. Landlords of individually-owned properties are more likely to be flexible and accept pets on a case-by-case basis. Use keywords like “pet friendly” or “dog friendly” in your search filter to narrow down rental listings. There are plenty of other dog owners who have been in your shoes. The Humane Society of the United States has a list of tips for finding rental housing with pets. Your local animal shelter, breed rescue or advocacy group likely has a list of apartment communities that will accept your specific pet. For example, the website My Pit Bull is Family has a list of pit bull-friendly rental housing providers in each state. Find Pet friendly housing in Utah. In addition to preparing documents like obedience training and vaccination records, ask your landlord or veterinarian to write a reference for your pet, vouching for your pets behavior. Understand that finding a rental with a pet may not be easy. Allot additional time to find the right home for you and your animal. If you’d normally give yourself one month to find an apartment, double that to two since a good majority of rentals won’t be pet-friendly. If you really need extra time, consider getting a short-term rental and boarding your pet while you continue your search. Finding pet friendly housing may require flexibility on your end. Understand that you may be required to pay an additional pet deposit, pay extra for insurance, or even rent on a month-to-month basis until your pooch earns the landlord’s approval. Follow the pet guidelines to show that you and your pet are model tenants and willing to work with the landlord. As you look for a place to rent, above all, sell yourself as a responsible pet owner. Do you have any tips for finding a rental with your pets? Share your experience with us in the comments below.